Much of the research on vitamin D is related to bone health and cancer. But in a new study published in the journal JAMA Ophthalmology, researchers from the University at Buffalo have discovered that vitamin D may also play a key role in eye health. 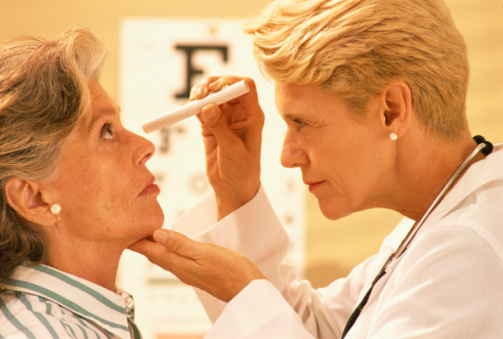 In particular, vitamin D may help prevent age-related macular degeneration (AMD) in women with a genetic predisposition to the development of AMD. For the study, researchers analyzed data from 913 women between the ages of 54 and 74 who participated in the Carotenoids in Age-Related Eye Disease Study—an ancillary study of the Women’s Health Initiative Observational Study. The researchers determined participant vitamin D status from an analysis of a vitamin D biomarker 25-hydroxyvitamin D through vitamin D intake from sunlight, supplementation, and diet. The researchers found that women who were deficient in vitamin D and had a specific high-risk genotype were 6.7 times more likely to develop AMD than women with adequate vitamin D levels and a normal genotype profile. The anti-inflammatory and anti-angiogenic properties in vitamin D are thought to provide the protective effects against AMD. Anti-angiogenic inhibitors help slow new blood vessel growth, which is a characteristic often seen during the late stages of AMD. There is also a genetic variant associated with AMD in the complement factor H (CFH) gene. “Our study suggests that being deficient for vitamin D may increase one’s risk for AMD, and that this increased risk may be most profound in those with the highest genetic risk for this specific variant in the CFH protein,” added Millen. Previously, studies have also found that vitamin D intake from supplementation and foods are related to the lower incidence of AMD in women younger than 75 years old. Millen, A.E., et al., “Association Between Vitamin D Status and Age-Related macular Degeneration by Genetic Risk,” JAMA Ophthalmology August 27, 2015, doi: 10.1001/jamaphthalmol.2015.2715, http://archopht.jamanetwork.com/article.aspx?articleid=2430468. Hill, D.J., “Vitamin D may play key role in preventing macular degeneration,” University at Buffalo New Center, August 27, 2015; http://www.buffalo.edu/news/releases/2015/08/032.html. Millen, A.E., et al., “Vitamin D status and early age-related macular degeneration in postmenopausal women,” Archives of Ophthalmology April 2011; 129(4): 481–489, doi: 10.1001/archophthalmol.2011.48, http://www.ncbi.nlm.nih.gov/pubmed/21482873.